Thorbjorn Olesen has taken Ian Poulter's place in Team Europe's eighth and final automatic qualification spot for next month's Ryder Cup. 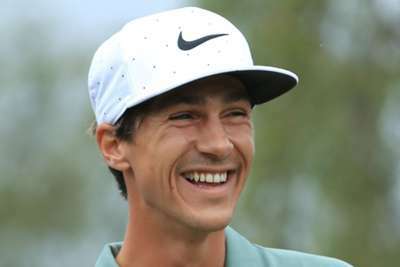 The Dane shot a final-round 67 to reach 12 under at the Nordea Masters on Sunday, securing fourth to usurp Poulter in the world points list. Open champion Francesco Molinari, Justin Rose, Tyrrell Hatton and Tommy Fleetwood occupy the top four places on the European points list, with Jon Rahm, Rory McIlroy, Alex Noren and now Olesen set to qualify from the world list as it stands. There are just two European Tour events remaining before the qualification period closes – the Czech Masters and the Made in Denmark. On the PGA Tour, Brandt Snedeker did his hopes the world of good by securing a wire-to-wire success at the Wyndham Championship – a triumph which began with a stunning opening round of 59. Team USA's eight automatic choices are already decided for the trip to Le Golf National in late September, but Jim Furyk still has four captain's picks to make and Snedeker's sensational effort at Sedgefield Country Club has certainly pushed him into the conversation. Bryson DeChambeau, Phil Mickelson, Tiger Woods and Xander Schauffele occupy ninth to 12th in the rankings, but Furyk has the license to prioritise form over points. The confirmed players for Furyk's team are US Open and US PGA champion Brooks Koepka, Dustin Johnson, Justin Thomas, Patrick Reed, Bubba Watson, Jordan Spieth, Rickie Fowler and Webb Simpson.